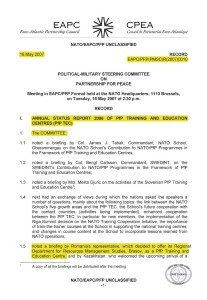 On 15 May 2007, during the meeting of the Political-Military Steering Committee on PfP DRESMARA was acknowledged as a NATO Partnership Training and Education Centre (PTEC) and, hence, the 11th PTEC accredited defense establishment. 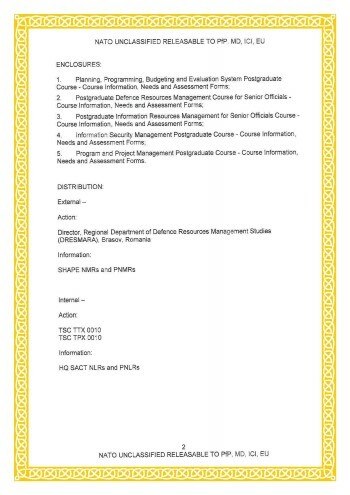 Information Security Management Postgraduate Course. 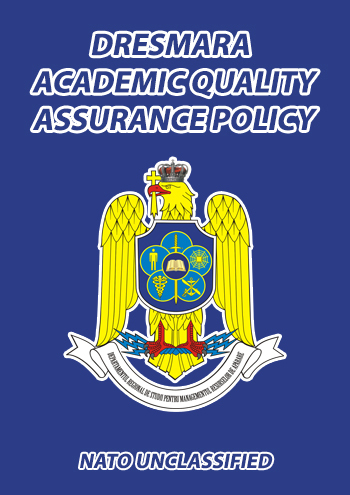 All quality standards established through „NATO Directive Bi-SC D 75-7 – Education and Individual Training” are met. All of the aforementioned courses will be included in the Education and Training Opportunities Catalogue. 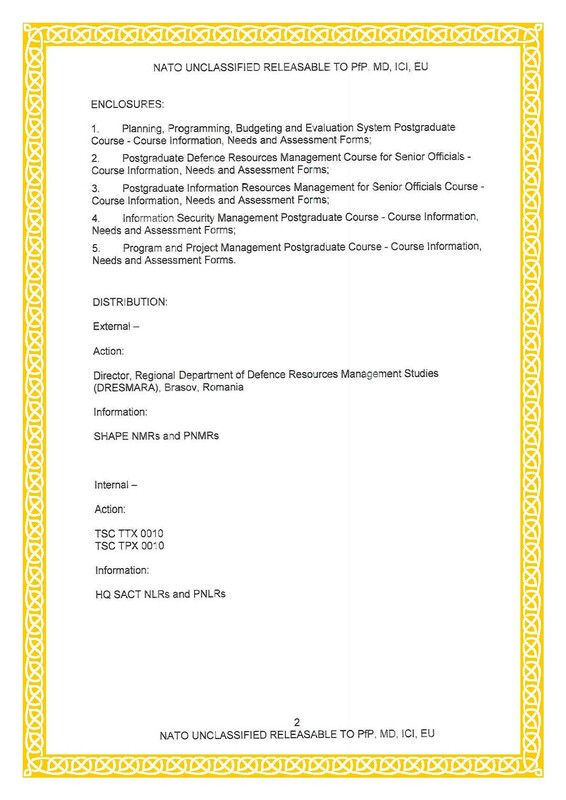 Accurate, complete and reliable information about courses curriculum. 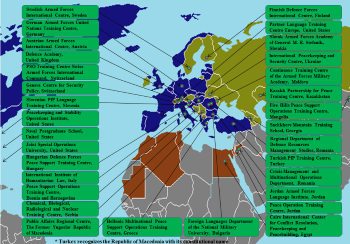 A "Partnership Training and Education Centre" (PTEC) is a national or multinationally sponsored facility, recognised by NATO which, by the decision of the sponsoring nation(s), conducts education and training activities related to NATO partnership programmes and policies and which is open to Allies and partners. The PTECs are a Community of Education, Training and Research Partnerships promoting transparency and mutual understanding for sustainable global peace, security and stability achieved through: "Cooperation Coordination Inclusivity Communication Networking Standardization". They represent a global network of educational and training establishments promoting collaborative initiatives and quality instruction to enhance capacity building, interoperability and a comprehensive understanding of wider security issues. 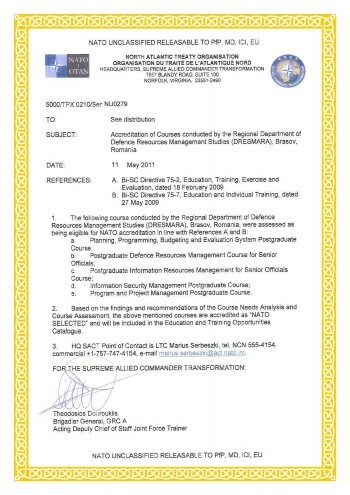 The PTECs offer to both military and civilian audiences' courses, seminars and workshops of academic character, providing education, training and instruction in diverse areas consistent with the objectives and priorities of NATO's policy on partnerships. 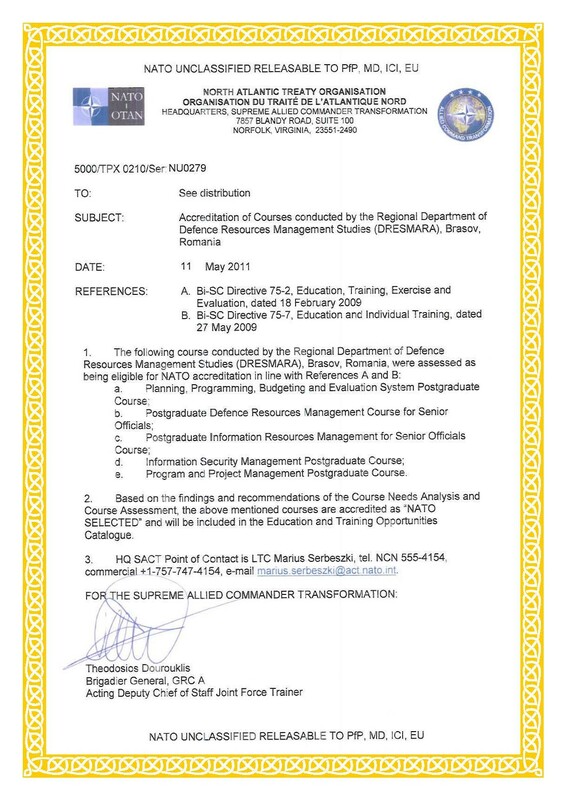 They may also provide platforms for training of a more operational character by offering both classroom and field training or a venue for exercises. Details of the activities by each Centre are included in the Partnership Cooperation Menu (PCM) via the Partnership Real-time Information Management and Exchange system (ePRIME).